Award-Winning Family Theatre this Half Term! We're delighted to welcome three fantastic family shows and two childrens' workshops to Dorset this February Half-Term. The week kicks off with Theatre Fideri Fidera, a professional Anglo Swiss children’s theatre company who will be performing their lovely play Oskar’s Amazing Adventure in Piddle Valley Primary School, Martinstown, The Exchange Sturminster Newton and Sandford Orcas. 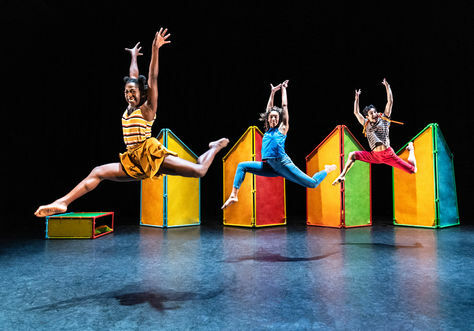 Crowned winner of the Primary Times ‘Best Children’s Play’ award at Brighton Fringe 2018, the show is packed full of good humour, adventure, music and song, and is aimed at children ages 2-8 and their families. One day, fun-loving puppy Oskar leaves his snowbound little house on top of the mountain to try to find a friendly animal to play with. But where are all the animals? And why does Oskar have to wait till spring to play his favourite game again? 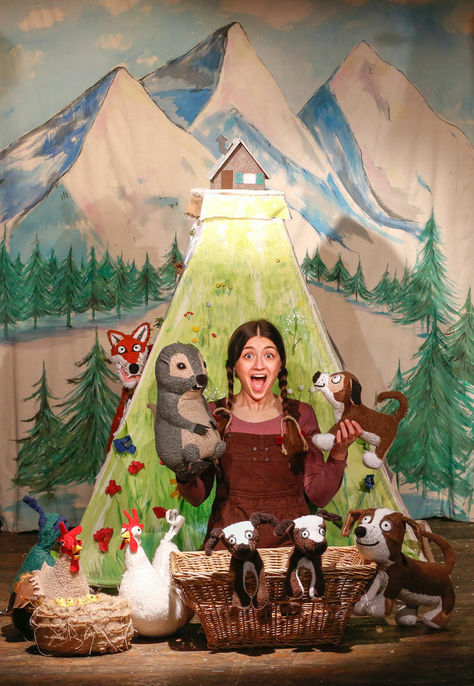 With a rich mix of storytelling, physical theatre, clowning, puppetry, music and song, don't miss this original, heart-warming and entertaining tale of a puppy’s search for friendship in the wilderness of the Alps. After the show, children can also enjoy Oskar’s Hibernation Workshop - a fun-filled drama, arts and craft workshop packed with creative activities and games inspired by the theme of hibernation and the animals in the play. On Monday 18 February Uchenna Dance return to Dorset following on from the 2017/18 touring success of The Head Wrap Diaries. Their wonderfully contemporary retelling of the classic fairy tale Hansel and Gretel finds two young heroes lost in London, overwhelmed by the sights, sounds and smells. Together the brave duo must outwit the adults to find their way back to their family in a show where kids are number one! Vicki Igbokwe, choreographer and founder of Uchenna Dance, (The Head Wrap Diaries, Our Mighty Groove), puts her unique twist on this well-known tale, weaving New York club styles of House, Waacking and Vogue, with African and Contemporary dance in a show that will delight the whole family. Performing for one afternoon only in Corfe Castle, expect to groove in your seat as you are transported to a world far from yours, yet with some surprising similarities. Finally the acclaimed Devon based company Angel Heart Theatre returns to Dorset with three performances in Child Okeford, Chetnole and Milborne St. Andrew. Artsreach regulars, this innovative companies productions have been engaging and enriching hearts of all ages since 2007 and this year, they present a delightful re-imagining of one of Aesop's most loved fables, The Boy Who Cried Wolf. Jacob is a young boy who loves to be playful, but when he is given the responsibility of being the village shepherd his wild imagination leads him astray. Brought to life with Angel Heart's impeccable combination of exquisite puppetry, dynamic storytelling and beautiful live music, expect a visually striking, innovative performance for all the family. Ahead of the performance, children can take part in a Howling Tales workshop, featuring an infectiously fun blend of improvised storytelling, music making and movement.